Psychology is one of the most popular majors worldwide. In addition to being one of the most fascinating and dynamic fields of science, it also provides a springboard for a wide range of opportunities for graduate study as well as exciting career choices. The UNYP Bachelor in Psychology degree runs for a four-year period. Its aim is to provide students with a solid foundation in science – particularly the study of behavior and the mind – through theory and practical experience in all of the major fields of psychology. Basic courses emphasize scientific thought, critical thinking, and analysis. More specialized courses address therapy and treatment of mental illness, cultural and family issues, as well as psychology in the workplace. Studies pave the way for two primary post-degree career choices: continuing on to pursue a graduate degree or direct entry into the workforce. According to current school statistics, roughly 80% of UNYP psychology degree recipients continue on to complete master and doctoral degrees from universities in the Czech Republic and abroad. 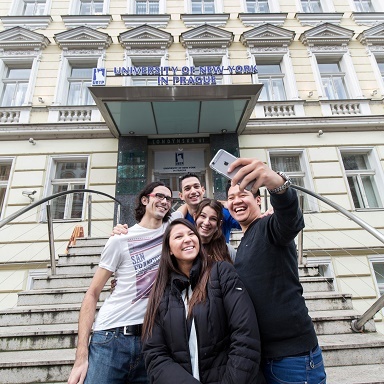 Our graduates have continued their studies locally at Charles University, Masaryk University and Palacky University or they have been accepted to schools abroad such as University College London, Kings College London, Oxford, Cambridge, Yale and The New School for Social Research in New York. The UNYP psychology program offers a wide range of career options. Our graduates have gone on to work as counselors, academic researchers, representatives at NGOs and charitable causes such as UNICEF and European Union diversity programs or as training consultants and managers in the private sector at top international companies such as DHL, Oracle, Skoda, and Amazon. UNYP has launched its own master’s program in psychology accredited by the Czech Ministry of Education, Youth and Sport. Therefore, students have the option to continue with their studies at UNYP on the graduate level, thus enhancing professional options greatly. All of the careers below can include both active research as well as practice in the field.